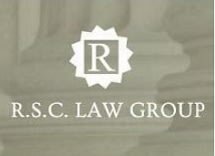 R.S.C. Law Group, LLC, is the largest family law firm in Monterey, California. Because our legal team devotes itself entirely to family law, you can trust our depth of experience and courtroom skills to deliver you the best result. Some family law attorneys are reluctant to bring their clients' disputes to court. We enjoy litigation and have secured hundreds of successful verdicts for our clients over the years. We are confident we can help you too. Call our office to schedule a free consultation.